As a supervisor of Education, Research and Community Programs for Peel Regional Paramedic Services, I provide oversight for a team of Specialists that support, implement and monitor clinical trials in a pre-hospital setting and am accountable for the certification and development of Primary and Advanced Care Paramedics in our region. After nearly a 30-year Career in EMS, with the help of my team, we developed programs such as Research Trial Design and the Lay Responder Support Model. These models are descriptive of processes that require accuracy and consistence in the approach we take to these programs. Peel Regional Paramedic services is a large agency, consisting of over 600 Paramedics, 61 Ambulances and during our peak day times have responded to over 133,000 calls for service in 2018. Because of our size, we are often asked to participate in research studies and trials. Our experience in answering questions through research led us to create a framework to operationalize research studies and trials. The model guides us through the journey from the proposal to publication, from the EMS agency perspective. This framework provides a consistent approach to better understanding the regulatory and logistical implications when undertaking research in an EMS agency. This requires a blend of Physicians, Paramedics, Firefighters, Dispatchers, lay responders and others working together to reach these three goals in the pursuit of improving patient outcomes. 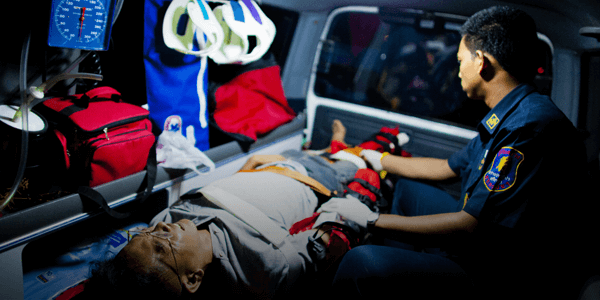 With the realization that pre-hospital research is important and can ultimately impact the future delivery of emergency medical services, having a framework to operationalize research has become a necessity. All factors need to be considered when planning a research project. We have formalized a framework for conducting research that is applicable for single and multiple service districts. Our experience in pre-hospital research was never formalized, rather it was conducted as "one-off" projects and led by various researchers. This often led to excessive labor, research fatigue, confusion, and communication challenges. During my session at ZOLL SUMMIT 2019, I will highlight the framework to operationalize pre-hospital research mitigating one-offs, and increasing engagement with all parties involved. Map out operations… the fewer surprises the better! Set the rules for your service. Know what time/effort/resource you can commit to conduct research. With evidence-based medicine becoming the standard of care, we will see an increase in studies that require the participation of pre-hospital providers in order to expand our understanding of techniques, trends and best practices as the role of Pre-hospital Care evolves as an integral part of the healthcare system. With so much new technology being constantly introduced, changes in the medical field are happening at a faster rate than ever before. There’s no reason why this momentum wouldn’t affect pre-hospital research, and because of this we believe we’ll see an increase in volume of research being done with EMS organizations around the country. In the coming year, research being done into pre-hospital care will continue to increase as the scope of paramedicine evolves. We will see an emphasis on using research to provide strong scientific evidence to support the effectiveness of current treatments being used in the field today. Not only that, but we will be looking to provide an evidence-based approach to what become the recommended treatments of the future! For all the progress and forward momentum being made in this field, there are still some obstacles to tackle in the next few years. How do we decide to say yes or no to a research request? Is there a burn out rate for providers to continue participation in studies? How do we manage coordination with hospital systems that may be conducting different research on the same patient group? In addition to these questions, tricky topics like meeting privacy laws and consent issues will continue to evolve and present challenges for pre-hospital research. Gordon is the Supervisor of Education, Research and Community Programs for Peel Regional Paramedic Services. He provides oversight for a team of Specialists that support, implement and monitor clinical trials in a pre-hospital setting. He is also accountable for the certification and development of Primary and Advanced Care Paramedics within Region of Peel and responsible for overseeing Community engagement and outreach. Gordon has experience with Quality management and design that has contributed to the identification and planning of programs such as Research Trial Design and the Lay Responder Support Model.